Report as much income as possible. Business brokers hear all the time how much money business owners make off the books, but unless you are selling to a friend or family member and don’t need to market your business, you can only expect a sale price based on your reported income. Push the company to show growth. Many owners who want to sell their business have lost motivation to innovate, bring on new clients, and grow the top and bottom line. 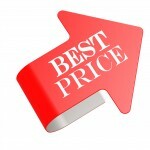 The trajectory of the business profit is very important in determining the sale price so don’t check out. Remove yourself from important processes. Do your customers or clients recommend you personally or the business you own? 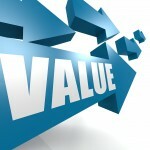 When determining the value of a business, buyers will assess the transfer value of the business. In other words, how much money can the business bring in without you. Review your contracts, licenses and permits. If you want the sale to go smoothly you want to ensure your current legal documents can be transferred to the new owner without issue. Learn more about this topic in one of our other recent blog posts. Don’t stop investing in your business. While it may be tempting to stop shelling out hard earned profits for office and facility improvements, technology, or other areas, a buyer may be put off by a poor appearance or a sense of being antiquated. Keep your plans to sell confidential. There will be plenty of advanced warning you can give to employees later on in the process once there is more certainty of when the business will sell. If this information spreads to employees and customers it can have a negative impact on the business and its eventual sale price. Talk to a business broker. Most business brokers will give you a free business analysis of what your business will sell for. If you are planning retirement or your next career, having a general idea of your business value is very important. Business brokers can also help make you aware of ways to improve the business value before it goes to market. While this may seem counter to reason #5, business brokers understand the importance of confidentiality. They usually market your business to buyers without even revealing the name and location. Read 75% of Owners Are Ready for Their Exits, But Their Businesses Aren’t.